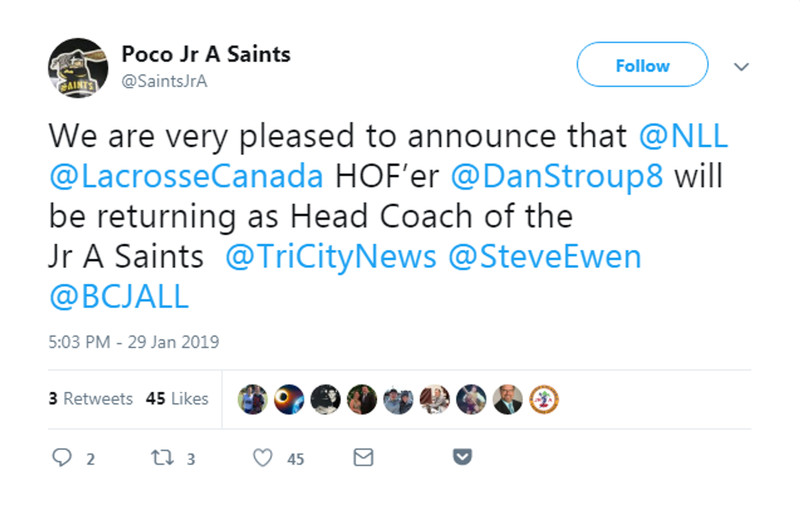 The Port Coquitlam Saints have confirmed that Dan Stroup will be back behind the bench as Head Coach for the 2019 BCJALL season. Stroup was hired alongside Josh Wahl towards the end of last season, after former coach Kelly Scott was let go. Stroup recently coached with NLL Colorado, but departed from the club following the 2018 NLL Season. Stroup has a distinguished coaching record, leading teams of all ages and skill levels, from taking the reins for Team BC's women's field lacrosse program in 2014 to being behind the Stealth bench alongside Hall of Famers Chris Hall and Art Webster. 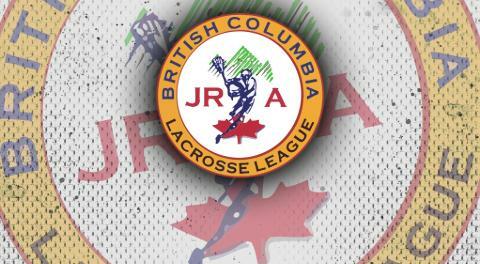 The NLL Hall of Famer has more than 40 years of coaching experience and has both played and coach championship winning clubs. Wahl became the President and General Manager of the club after Reg and Chris Thompson decided to retire.